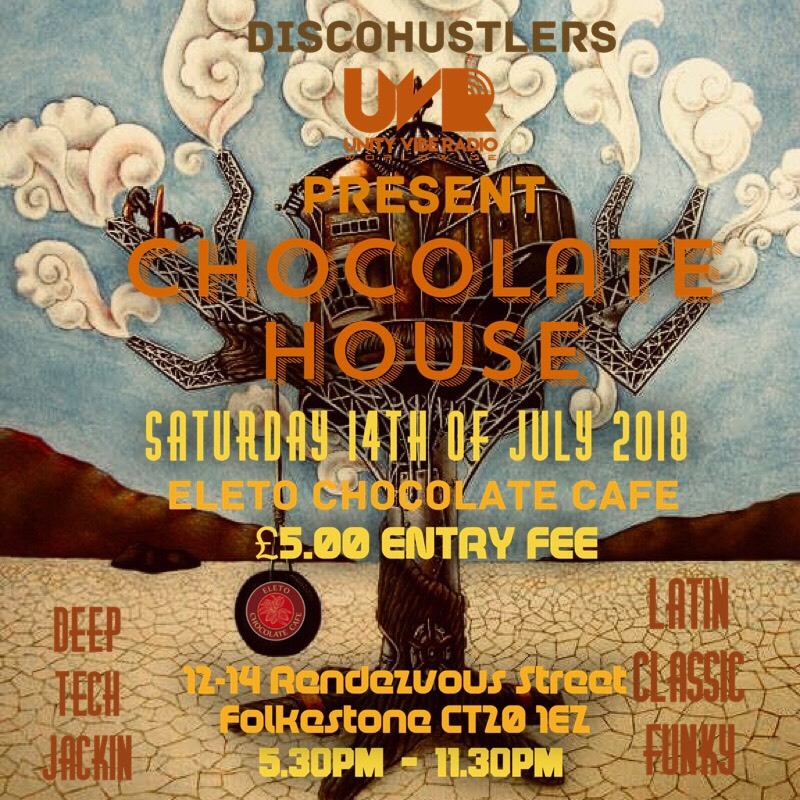 Come join unityviberadio.com worldwide and one of London’s leading Notting hill carnival sound systems the Discohustlers tech sound on Saturday the 14th of July 2018 at the eleto chocolate cafe in folkestone kent. For every £1 taken on the door will go to the charity helping people living Rough on the streets, by coming to the event you will help someone this winter keeping them warm with hot drinks/food parcels handed out by Volunteer workers to ex soldiers living on the streets and young and old vulnerable people. As a plus the RUM CLINIC in Folkestone are teaming up with us for this event and giving 10% discount on there RUM alcoholic drinks, so remember your hand stamp on your way in and after eleto chocolate cafe close’s just walk down to the rum clinic for your bedtime nightcap.